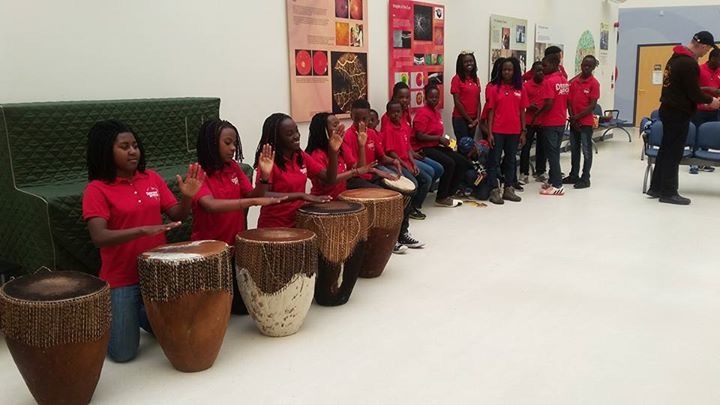 Alongside the charity, Music in Hospitals, Destiny Africa sang and danced for patients, students and staff in the Royal Manchester Children’s Hospital and the Royal Eye Hospital. By special request Destiny Africa also sang for the children who were not able to leave isolation wards. It was so moving to see children, otherwise so sick, with their parents, enjoying the songs and joy that Destiny Africa carry. One child had found music difficult to handle all his life due to Autism, but he listened to DA with rapt attention and at the end of the performance, he clapped. His mother told us it was the first time he had been able to enjoy music. It was such a privilege to bring joy and healing through our music in Manchester today!